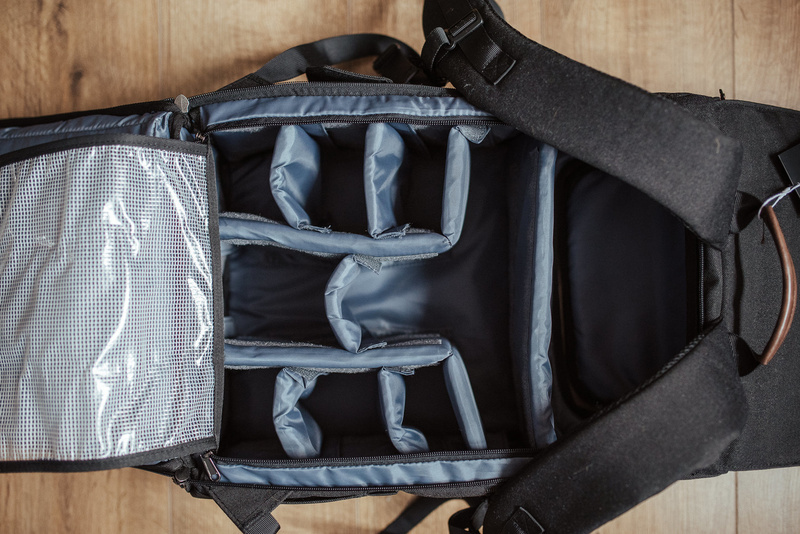 Sometimes, when you are looking for a versatile camera backpack, they tend to lack in the style department, or on the other hand, you may sacrifice space and utility for a more fashionable bag. But, what if BAGSMART has combined both? Take a look at our review! As a photographer who often photographs streets and travels around, it has definitely been a struggle to find something that will hold my equipment on the go, including other nonphotographic items, such as my laptop and personal belongings, and at the same time remain comfortable on my back and not bring too much attention to what I may be carrying. My current camera bags, both a large backpack as well as a hard-back case, have been with me all around Europe, but I have never quite found something that allowed me to combine style and functionality and didn't make me look like I was about to go on a hike with half of my belongings on my back. 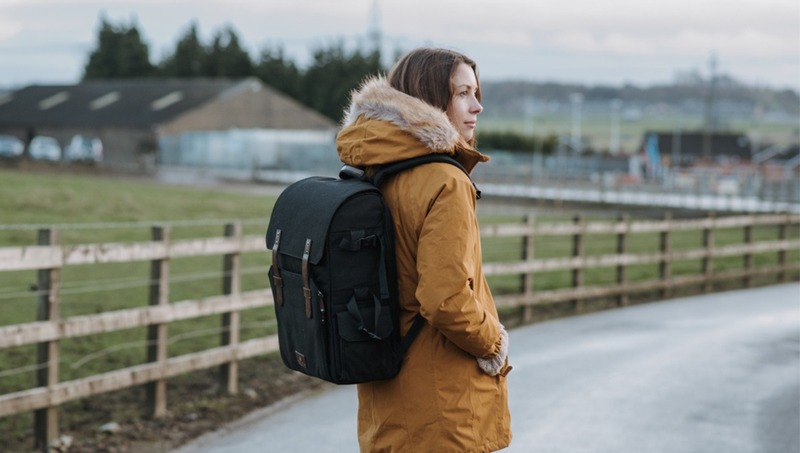 That is why I have been excited to review BAGSMART New York camera backpack, as it promises to be an everyday backpack and a functional camera bag all in one! 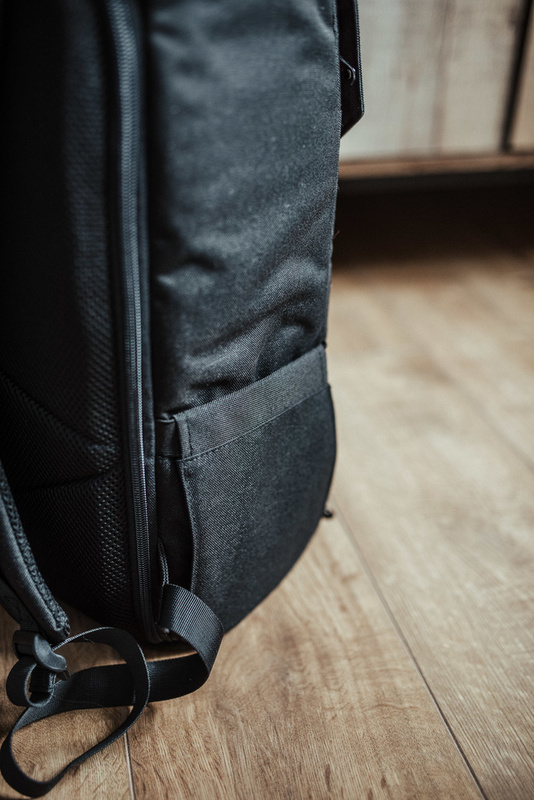 This New York backpack comes from BAGSMART, a company that has a list of various items to "make carrying smarter," from duffel bags all the way to travel organizers. 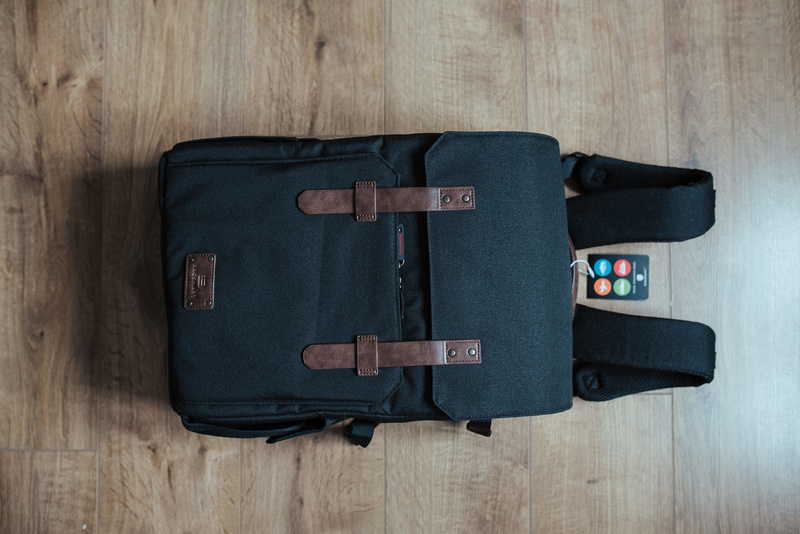 Their New York backpack is one of their currently six available camera backpacks. At the time of writing this, it's retailing for $116.99 on Amazon and comes in either black or green, both with brown leather straps on the front. Between December 24, 2018 and January 7th, 2019, BAGSMART is offering our readers a 20 percent discount coupon; the code is 5RBNK75G. 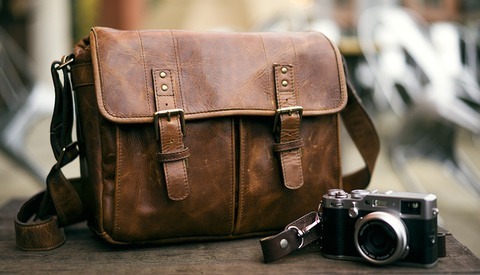 The design of the bag is very modern and would suit both male and female photographers. I found the bag to be comfortable on my back, but also be aware that it actually is slightly bigger than it appears, which may be a good or bad thing depending on your frame and what you're looking for. What I did enjoy is that it is not too bulky considering the sheer amount of items you can carry in the bag. It is very versatile for either travel or photography work or both. 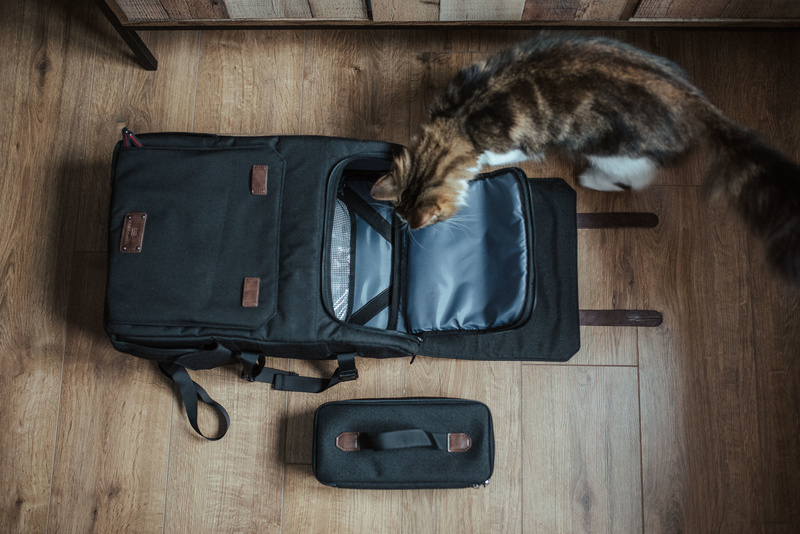 I am relatively light when I travel and work, so I don't actually need heaps of space, and this bag definitely holds enough of what I need for street photography, including my laptop, so I can do work on the go, as well as for shooting events, boudoir, or couples' photography. 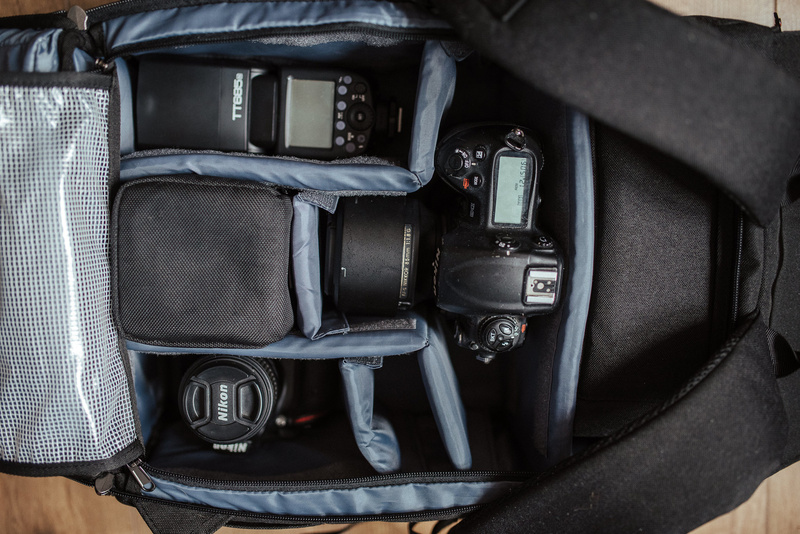 Depending on your setup, it may just be enough for shooting weddings, too! The extra zip bag is big enough to hold small items that I need to bring with me, as is the front zip pocket. 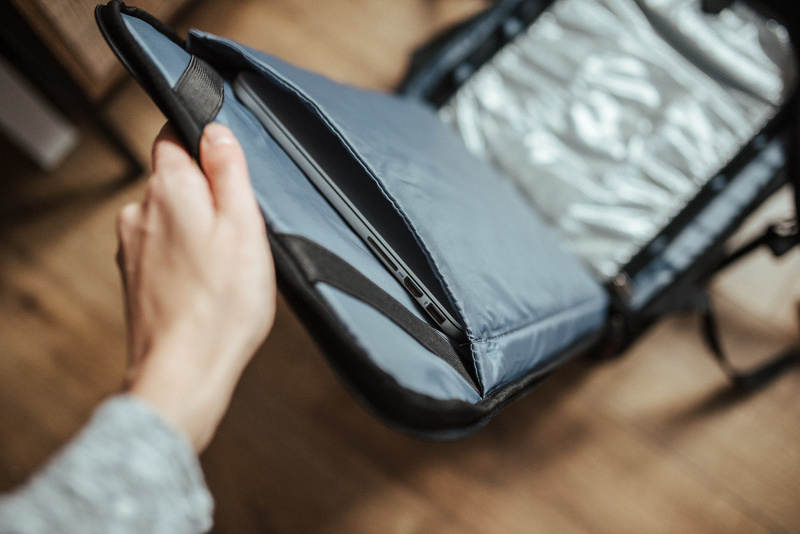 If you're an international traveler, you will need to check carry-on size restrictions for your airline, as this bag may be too large to be taken on board. An airline I regularly travel with has recently reduced their free carry-on size limits, which means I won't be able to use this bag when jet-setting unless I upgrade my ticket. However, it's a great luggage alternative for traveling by other means, such as on the train or on foot. This may be a personal preference, but I am used to having a bottle of water with me when I travel, which holds 550 ml of liquid, and it didn't quite fit in the side pocket, so you'll have to consider having a smaller bottle with you or free some space inside your bag for a larger one. 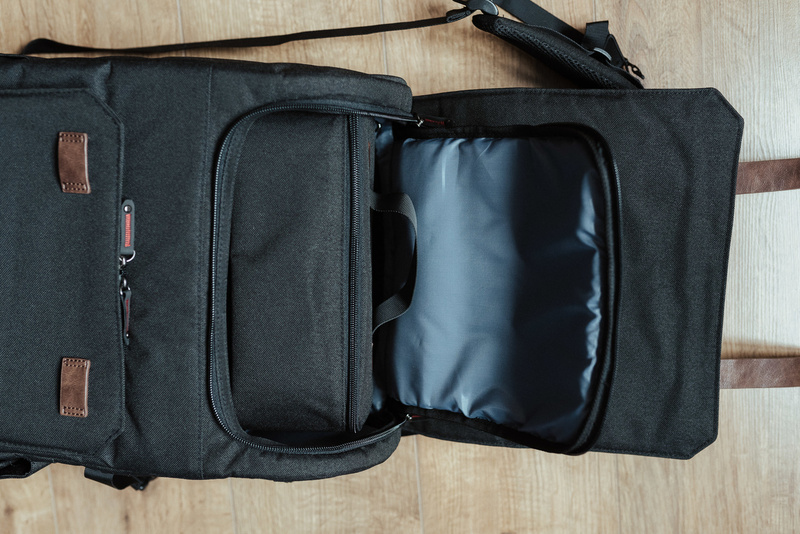 Other than that, it's a very spacious bag, and with a lot of us going towards lighter gear setups, I can see this being very useful for a variety of photographers. 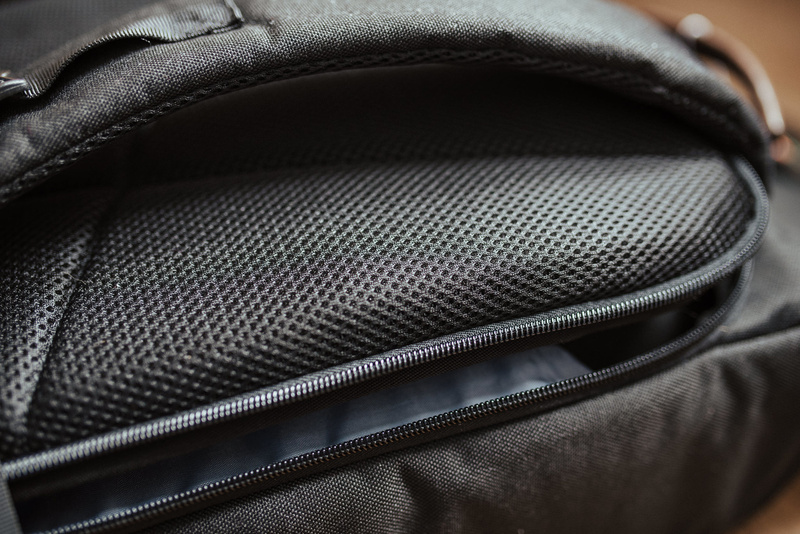 The front zip pocket is useful for quick access items, such as a mobile phone or your wallet. If you want it more secure, place these in the zip bag that comes with the purchase that sits in the top compartment. There's plenty of space for your laptop, but my slightly smaller MacBook Pro slides out. It could be improved by adding Velcro, buttons, or zip fastening. All in all, it seems unfair to fault a bag by saying it's too spacious. 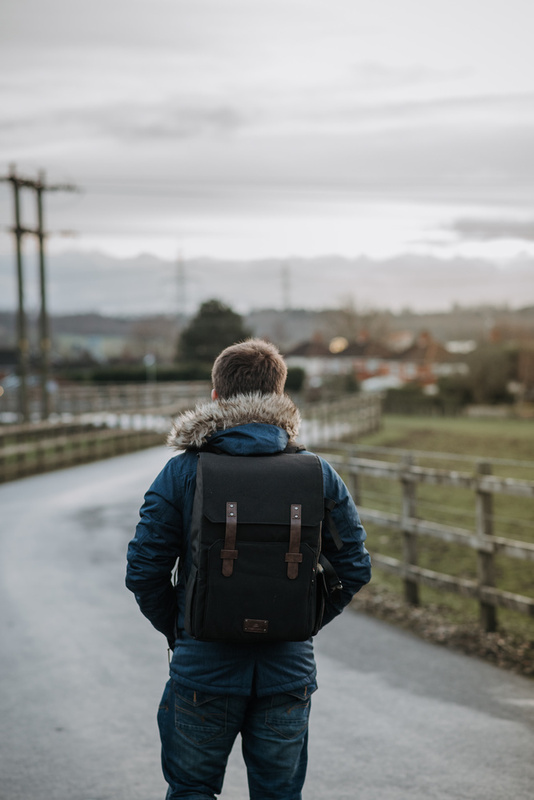 It does do a great job of helping us carry more in a functional way, so you have to ask yourself what's more important to you when looking for a camera backpack. 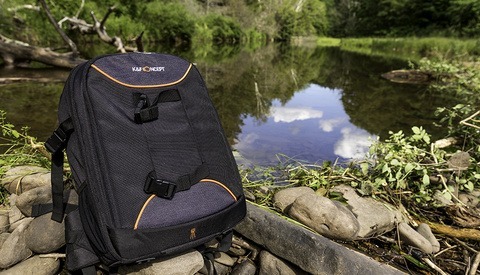 I see myself using this on location shoots, because it will be able to hold everything I need, but for smaller trips where I only need to bring with me one camera and perhaps one additional lens, I may instead consider the BAGSMART Commuter range, which features smaller backpacks. Theier prices for both photography and regular backpack ranges are fairly competitive considering their functionality, so I wouldn't mind getting both to cover me for most situations I will find myself in. If you think this bag is perfect for you, head to Amazon and get it. Don't forget, BAGSMART is offering our readers a 20 percent discount; all you have to do is use the code 5RBNK75G to get your discount between December 24, 2018 and January 7, 2019! Anete Lusina is a photographer based in West Yorkshire, UK. You'll either find her shooting weddings, documentary, or street photography across the U.K. and Europe, or perhaps doing the occasional conceptual shoot. 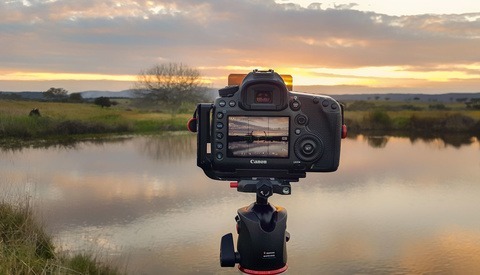 Are DSLR Cameras Already Dead? Same! As much as I love my camera bags, like you say it just makes you stand out in a crowd and not in a good way! I think this bag is getting there albeit it's quite large so more suited for those who want to carry a spare lens and other bits instead of just one camera body and lens. Maybe you could get the people who made this swiss survival pack to come up with a camera bag. Happy new year! The bag design is exactly the same as the Vinta Camera Backpack ( https://www.bhphotovideo.com/c/product/1396518-REG/vinta_ii_blkblk_bck1_...) which I own and love. 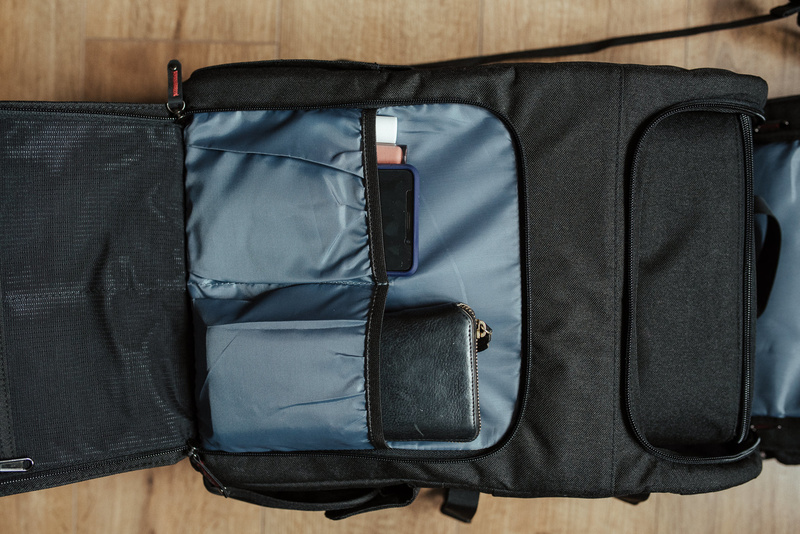 I've gotten so many complements on the bag because of the style and I was able to fit a fare amount of gear in there ( on a trip to New Orleans I was able to fit a DSLR, my Mavic and and Osmo + with room to spare). This looks a bit bigger than the Vinta (which for me would be a plus) and the price point ( with the 20% off and a few gift cards from the holidays) kinda makes it a no brainer. The coupon code doesn't seem to work for either the Bagsmart site or amazon.com. Has it expired or is there an error somewhere? It worked for me on amazon. Works for me now, thanks! This is technically a "much more usable" Vinta's first backpack. I have the new one (the Vinta Type II), though it can fit 1 body and 3 primes (35,58,85 Nikons, all 1.4) this Bagsmart somehow solved a bit of the problems of the old model. Edit: And just read the comments, Jeff Stewart seems to have noticed the similarities already.